I just ordered the disc brakes from a shop in Oklahoma. $100.00 a side and $40.00 shipping. He said it would take a week for delivery. Looks like I'll finally get my disc brakes! Got the disc brakes in today. Donor was 1979 2 wheel drive. Trooper rotor bolts to disc brake style Luv Hub. To do so, I've ought to swap the hubs up front. square measure Trooper hubs the same? I detected a rumor that the Trooper ventilated discs will slot in the LUV disc calipers. so guys i have a problem, im going to switch to trooper rotors and calipers. on rockauto for an 86 trooper they have a bunch of rotors listed with a 16.6mm min thickness. they have some listed from 11/86 to 6/87, (not sure if they are different then pre nov/86) the standard ones are the regular size 16.6mm min, but there is a heavy duty/ high performance, that say minumum thickness 20.6mm. im not sure if the high performance rotors are able to fit or not, if not i will get a set of 85 rotors to be sure they fit. btw anyone who wants to make the switch rockauto has the rotors and calipers (loaded or unloaded) for CHEAP. That said, I don't know if it is possible to swap the bigger rotor, brackets, and calipers from an 87-91 Trooper and get an even bigger upgrade... could be?? i will bring a ruler and a micrometer next time i hit the yard, probably the weekend after next and see what i can find out. Some quick research turned up these spec's for Pup/Trooper/Rodeo/Amigo front brake rotors, all rotor's below should be a direct fit to your existing hub. As for dust shield fitment and caliper fitment im still unsure. The 92-97 rotors and calipers could be fun, those are plenty big. I just picked up a 95 Trooper and I can say that those brakes get it from go to whoa pretty quick. Plus, there are sources for slotted and drilled rotors for those. That would pretty much require 15 inch or larger wheels though. I did a quick bit of checking on planetisuzoo.com and found plenty to support the upgrade from 88-91 brakes to 92-97, but not a direct link from 84-86 Troopers, which would connect it to LUVs. Looks fairly promising though and I am pretty sure I saw info to upgrade my 86 to 88-91 rotors some time ago. I went ahead and sent a PM to JLEMOND over at the 'zoo. He'll know If any of the early 1st gen Trooper stuff will swap for the the later 1st gens. If so, that could be a killer front brake upgrade for any LUV. if its a matter of bringing over the brackets and such from the later models and a 15" wheel to clear them im willing to grab a set and see how they fit. The specs from '81-'87 can't be right. I just bought a set of rotors for my '83. They're non-vented, but the '84-'87 rotors are vented. Looks like the bolt on upgrade path stops at 10/86. 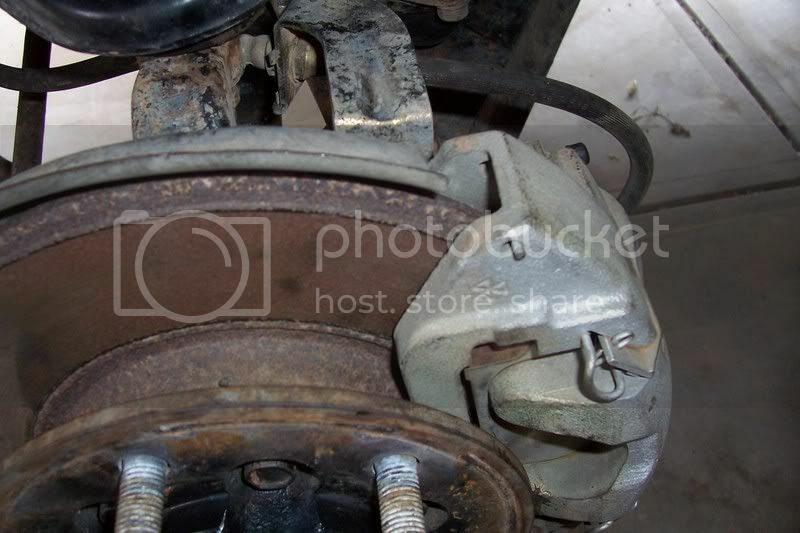 The 87-91 and 92-97 brake parts will not bolt right onto the LUV steering knuckle. According to JLEMOND The caliper brackets are different, so it would require machine work to make this swap happen. It might be possible to swap the knuckle from a later truck over but the bearings will need machine work and the lower ball joint will need attention too. If the hubs are swapped over then you need the axles too, then the center section and the front diff, and it just snowballs from there. 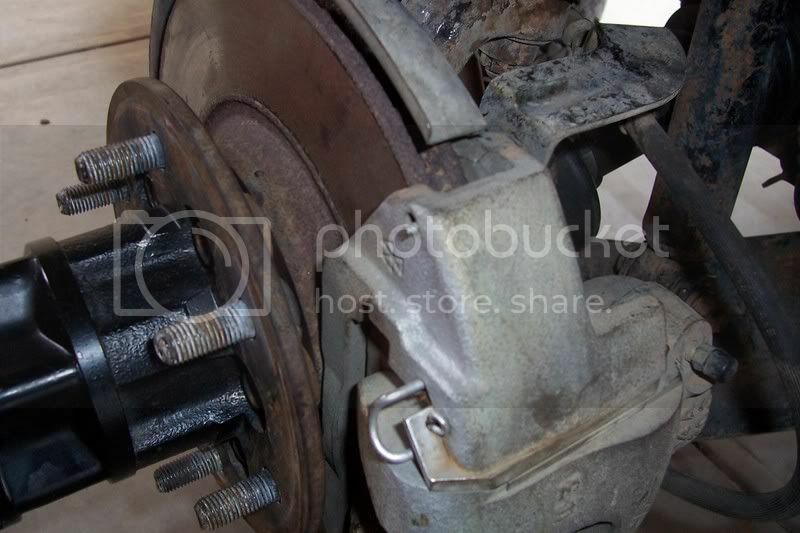 do you think this disc brake swap is the same on the 2wd 1980? did you need to bring over the mounting hardware for the trooper calipers? ?